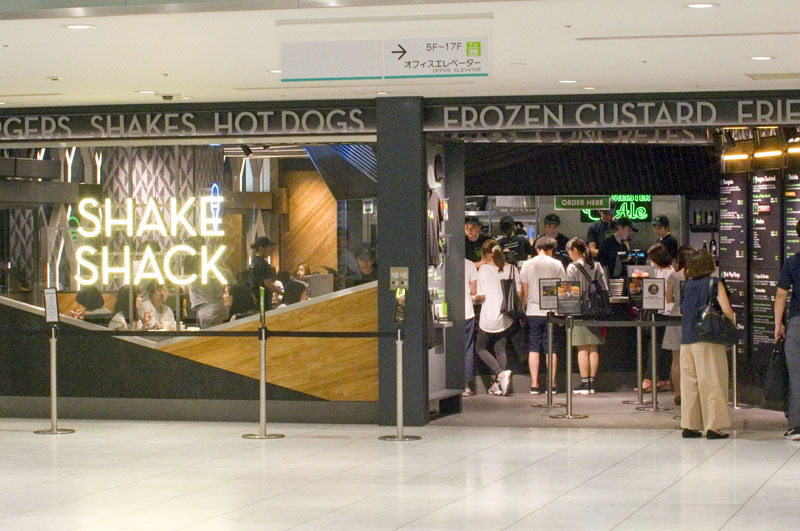 Fancy Angus-beef burgers, gourmet hot dogs, milkshakes and location-specific frozen-custard desserts are the draw at this popular fast-casual chain. The draft beer is made by Brooklyn Brewery, and wine by the glass or bottle is from Frog's Leap winery in California. This branch offers outdoor terrace seating. Shibuya-ku, Yoyogi 2-2-1, Odakyu Southern Tower 2F.